Dr. John Reifschneider provides surgery to remove cataracts at his Leavenworth location serving the greater Kansas City area, which includes placement of intraocular lenses (IOLs) to restore clear vision. This sophisticated procedure uses no sutures, and can help you to quickly overcome the burden of compromised vision. Contact Reifschneider Eye Center today to schedule your consultation. The crystalline lens lies behind the cornea, and plays an important role in focusing light upon the retina. It is made of protein and water. As you age, protein cells may shift within your lens and begin to clump, causing clouding that can block light from focusing on the retina, resulting in blurred or distorted vision. 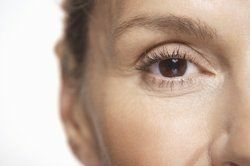 While age is the most common cause of cataracts, eye injuries, medications, diseases, and prolonged exposure to ultraviolet light can also contribute to this condition. Cataracts are detected by means of a visual acuity test, dilated eye exam, or tonometry (an instrument that measures pressure in your eye). Dr. Reifschneider can determine if you have cataracts, and how severely they have progressed. During cataract surgery, Dr. Reifschneider will use make a tiny incision in the cornea, granting access to the lens. He will carefully remove your clouded lens before replacing it with an IOL. He uses an advanced no-stitch procedure, so your incisions will naturally reseal themselves and heal following surgery. Thanks to this technique, you will experience minimal discomfort, and you will be able to return to your normal daily activities after a relatively short recovery period. Monofocal IOLs: The first type of intraocular lens to be developed, these lenses correct vision at one distance only. Typically, when patients choose monofocal lenses, they have them adjusted for distance vision, and they may still rely on glasses or contacts for reading and other close-up tasks. Multifocal and Accommodating IOLs: These lenses correct vision at both near and far distances, meaning you may experience decreased dependency upon corrective lenses after your cataract surgery. You may still need to wear reading glasses for detailed work, fine print, or prolonged periods of reading. Toric IOLs: These advanced intraocular lenses are designed to help cataract patients with astigmatism. They can improve the blurred, haloed vision that astigmatic patients deal with on a daily basis. Because cataract symptoms do not appear right away, it is important to undergo routine eye exams to monitor this condition. If you begin noticing symptoms of cataracts, the sophisticated techniques we use can help you to enjoy clear, dependable vision once again. To schedule your exam or to receive treatment for previously diagnosed cataracts, contact Reifschneider Eye Center today.